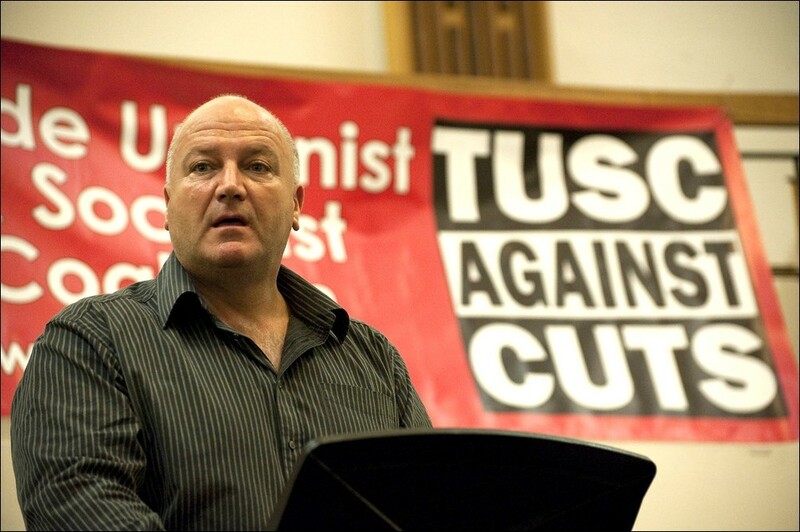 Trade Unionist and Socialist Coalition supporters will be shocked and saddened to hear that RMT union general secretary Bob Crow has died. TUSC national chair Dave Nellist said: "Bob Crow was an inspirational union leader who tenaciously defended his members' jobs, pay and conditions - head and shoulders above most other union leaders. "Bob also recognised, well before most other union leaders, that the overlapping austerity agenda of the big parties meant working people have to start again and build anew. "His union, as the Society of Railway Servants, founded the Labour Party 114 years ago and for the last 5 years in particular we had worked together to start to create a new voice for workers rooted in the organisations and communities of working class people. "As part of his legacy on May 22nd, TUSC (the Trade Unionist and Socialist Coalition) will stand the largest number of left of Labour candidates seen in this country for over 60 years. "Our sadness is that Bob won't be with us on that day, and inspiring hundreds of TUSC candidates around the country. "In his union, and in the new working class politics he championed, he will never be forgotten."